At stage 4, what is the need for the PI. Since the data is commited, the data has been written to the redo log file. In case of instance 2 crash, the data can be recovered from the redo-log ?? Had if, the change was not commited, the PI would have been required for recovery in case of Node 1 crash. Gr8t 1 it is very helpfull.easy to understand you r doing Gr8t. Thanks a lot for your very great explaination.. This is being great article….I have never seen a document which explains such a difficult fact in this way.. 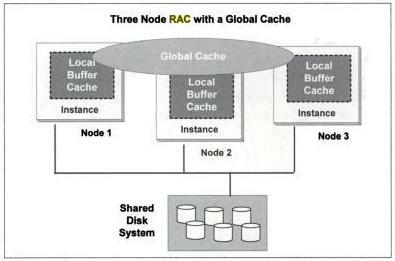 This article explains the fundamentals of cache fusion and how locking happens in RAC in the most lucid manner. The contents of the article are useful to any DBA whether experienced or naive. Your effort in putting this article together are greatly appreciated. Its really good …and very informative ..thanks for such a detailed explaination ..
very good explanation..helped me a lot..greatly appreciated. really really good document……. it made my doubts on cache fusion to get clear. thanks a lot. Really helps one understand clearly what’s happening behind the buzzword “CACHE FUSION”. Do you have another articles written on RAC,Oracle. Thanks a lot for your good work….Keep it going. Thanks for compiling it and presenting it. 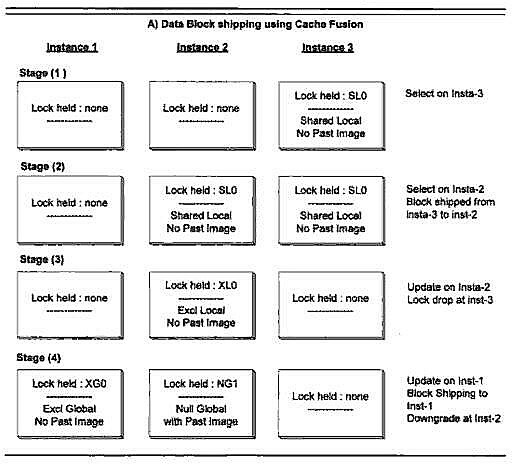 thanks a lot, this article well help me with better understanding of Cache fusion. You rock as always in this article. Thanks a lot for this article. Can you please share some knowledge on “Oracle Interconnect”. Really nice document to go through.. It is really good document.Thanks alot. Wonderful explaination of Cache Fusion. It explains everything and easy to understand. Thanks a lot for providing such great article for Oracle RAC cache fusion feature. Nice.cleared my so many doubts. thanks for explanation. By explicitly mentioned example help me to clear my doubts about how the transaction taking place with the help of cache fusion. Really Good Document in Simple terms …. wow…this is excellent. Thanks a lot of the explanation. Very Good Document, Appreciate the writer. Wow…This is too good concept. Kudos to you. Wow!! That’s so good!! Great Explanation …. That was awesome explanation. Thanks for sharing knowledge. Excellent Advait. 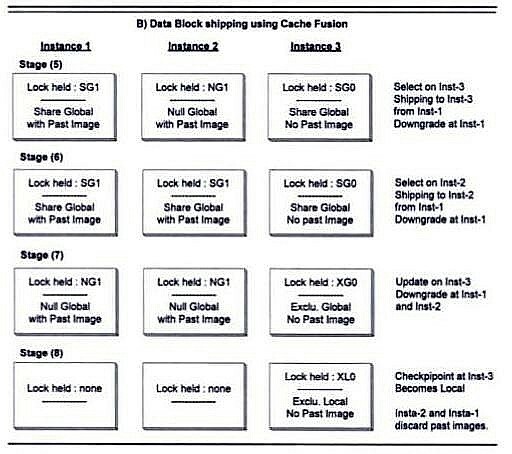 I got good idea on cache fusion from this article.Thanks for your efforts on explaining clearly with example. Thanks a lot for explanation. My question is when dirty buffer is shiiped to remote instance whether uncommited changes will be there in that block (with XID – commit indicator as uncommited) or only commited changes will be given to block?